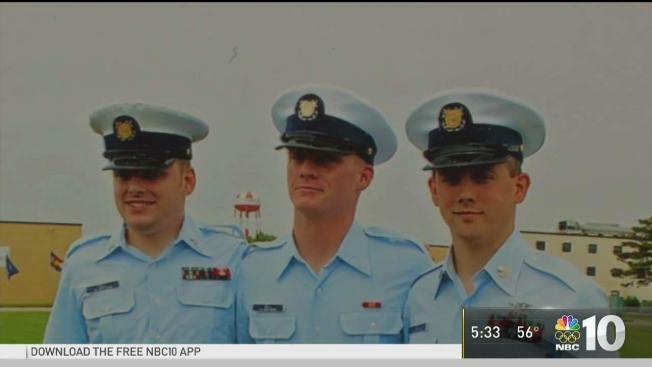 A United States Coast Guardsman was killed by a drunk driver, according to police, and now that victim's family is speaking out. NBC10's Tim Furlong has the story about the phone call that changed their lives forever. A member of the Coast Guard from Gloucester County, New Jersey, died in a wrong-way wreck in Virginia Beach -- and police have charged a reality TV star with DWI in the crash. Petty Officer 2nd Class Daniel Dill died after the car he was driving was struck head-on around 2 a.m. on Nov. 4, according to Virginia State Police. He had been driving eastbound on I-264; the car that struck him was traveling westbound in the same lane. Dill died of his injuries the next day at a nearby hospital. Melissa Hancock, who appeared on Lifetime’s "Little Women: Atlanta," was charged with driving while intoxicated/maiming and driving the wrong way. Reality TV star Melissa Hancock, seen in her mug shot (l) after being arrested on DUI charges, and on her show, "Little Women: Atlanta." More charges are possible, state police said. It was unclear if Hancock had an attorney who could comment on her behalf. "It satisfies nothing in me to talk to her or about her," said Dill's father, Chris. "I am just disgusted that her poor decision cost my son, who was making all the right decisions, his life. It's just so unfair." Dill, 29, was going to pick up his wife when he was struck. His wife had been out celebrating, and Dill wanted to get her home safely. Dill was a Logan Township, New Jersey, native who was stationed at the Command, Control and Communications Engineering Center at Base Portsmouth. His two brothers also served in the Coast Guard; Dill had just returned from a mission to help rebuild Puerto Rico. Dill will be buried with military honors on Saturday.